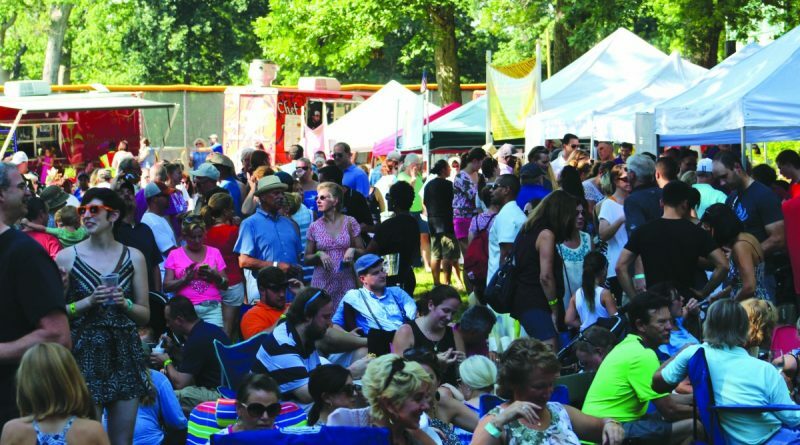 Fireman’s Field will be a lively scene on Saturday, when the town’s Wine & Food Festival opens at 3 p.m. The five-hour celebration features 30 local purveyors of wine, craft beers, ciders, specialty foods and artisan crafts. Live music performances throughout the event are a big draw. On the schedule are Andy Hawk and the Train Wreck Endings, which just released a new album; reggae band The Greenbeets from Purcellville; and the Colin Thompson Band. The event is expected to draw more than 5,000 people. Town Special Events Coordinator Melanie Scoggins said she tries to add new features each year. On Saturday, there will be expanded activities and contests for all ages, including a corn hole tournament, sand art for kids and face painting. Also new this year is a pick-up location for those who have purchased a load of bottles and other commodities, so they don’t have to haul their loot around the festival. Patrons take a ticket, just like a coat check, and they can pick up their purchases at the Bush Tabernacle on departure. A new vendor—Nomini Bay Oyster Farm—also is likely to prove a hit as the vendor will be shucking oysters. Grandale Farm Catering will be present, along with 868 Vineyard, Scoggins said, noting the number of vendors is up slightly over last year. Discount tickets for town residents can be purchased online through Friday, but not on event day. By mid-week, the town had taken in $3,300 in ticket sales. There is still time to purchase a VIP café table with seating for eight for $250. Patrons gain early entry at 2 p.m., and are given eight wine glasses, 16 tasting tickets and four bottles of wine. They also are given exclusive seating for viewing the festival stage. Tickets are $15 through Friday, or $20 online and at the gate on Saturday, July 16. Those who purchased advanced tickets will enter through an express line at each of the two entrance gates. ATMs will be available on at Fireman’s Field and credit cards will be accepted at the gate. Parking at Fireman’s Field and the Bush Tabernacle will only be available to those with disabled permits, vendors, volunteers and festival sponsors. VIP parking will be at Emerick Elementary School, where shuttles will ferry guests to the festival area. Bus A will run from 1:45 to 8:45 p.m. for VIP guests from Emerick and Loudoun Valley Community Center. General admission parking will be available at the town’s three public parking lots and visitors can walk to the festival area. Or they may park at Loudoun Valley High School, Patrick Henry College, Blue Ridge Middle School and Blue Ridge Bible Church and take the shuttle. Free shuttles will pick up visitors and take them to the festival area every 20 minutes from 2:45-8:45 p.m.: Bus B from Blue Ridge Middle School and Blue Ridge Bible Church, and Bus C from Patrick Henry College and Loudoun Valley High School. Organizers ask residents and visitors to town to have patience during those hours and to pay attention to the increased level of pedestrian and vehicular traffic. No consumption of alcohol is permitted at the parking locations. For more information, call Events Coordinator Melanie Scoggins at 540-751-2350 or mscoggins@purcellvilleva.gov. For other details and tickets, go to purcellvillewineandfood.com.